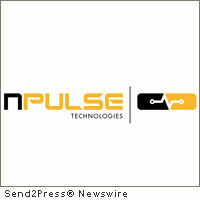 CHARLOTTESVILLE, Va., July 14, 2011 (SEND2PRESS NEWSWIRE) — nPulse Technologies has announced that it is now shipping the latest release of its HammerHead Capture Replay product, the only solution on the market today providing both traffic capture and traffic replay at speeds up to 20Gbps. HammerHead is a standards-based system which manages traffic data in the familiar, widely-used pcap format. It has found broad market acceptance for applications in network security, forensics, latency measurement, and performance testing. HammerHead version 2.9 incorporates feedback and feature requests from existing users in Government, financial and manufacturing sectors. The first customers deploying HammerHead v2.9 include a Tier 1 US telecom network operator and a major Internet infrastructure provider. ­- optional extender modules which add 32 TBytes of traffic storage per module. nPulse Technologies, LLC is a leader in high-speed packet capture and replay. The company’s flagship product, HammerHead Capture & Replay, provides customers with easy to use, high-fidelity network analysis and visibility capabilities at speeds up to 20Gbps. Designed around open industry standards, HammerHead delivers unprecedented performance at an affordable cost and allows for easy deployment with existing IT solutions. nPulse Technologies is a world-class provider of information technologies, a trusted advisor to its clients, and a respected industry leader in packet capture technology. The company is a privately held, Veteran-owned business with a strong history of service in the Federal government community. It is headquartered in Charlottesville, Virginia, USA. For more information, visit www.npulsetech.com . – nPulse RSS news feed: https://send2pressnewswire.com/author/npulse-technologies-llc/feed . Original Keywords: Randy Caldejon, HammerHead Capture Replay, network security, forensics, latency measurement, and performance testing nPulse Technologies, LLC Charlottesville Virgina CHARLOTTESVILLE, Va.
REFERENCES: Business News, Randy Caldejon, HammerHead Capture Replay, network security, forensics, latency measurement, and performance testing nPulse Technologies, LLC Charlottesville Virgina CHARLOTTESVILLE, Va.